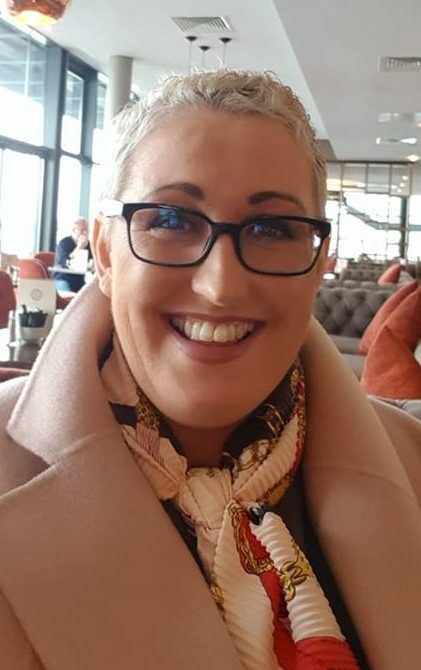 In today’s post Meg Wiley Curran from Co Limerick shares her cancer journey and how she is focused on making every moment matter. 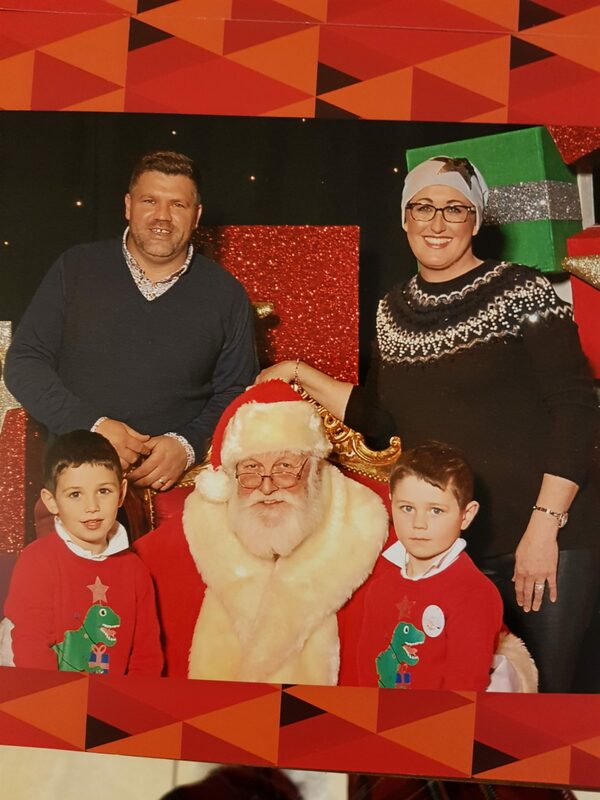 Meg Wiley Curran, age 39, living in Kilmallock, Co Limerick with my husband Paul and my two boys Jack, age 5 and Scott, age 4. I was diagnosed in March last, after I discovered a small lump on my right breast. 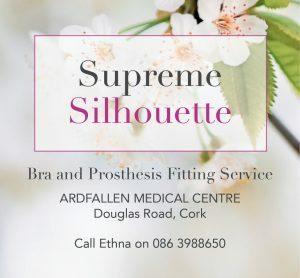 I went for a mammogram and biopsy (I went alone as thought I’d be in and out) and within 2 hours was told I was in trouble – both my breast and lymph nodes had tumours. I would need a CT of my thorax and liver and a bone scan. I chose to pay privately to have my scans. My results were back within a week and unfortunately things were worse than they thought. I had tumours on my ovaries, my back, and my liver. Stage 4 metastatic breast cancer. ER-positive, non-operable, but manageable cancer. Another scan showed that my ovaries were good, a bit of good news at least. 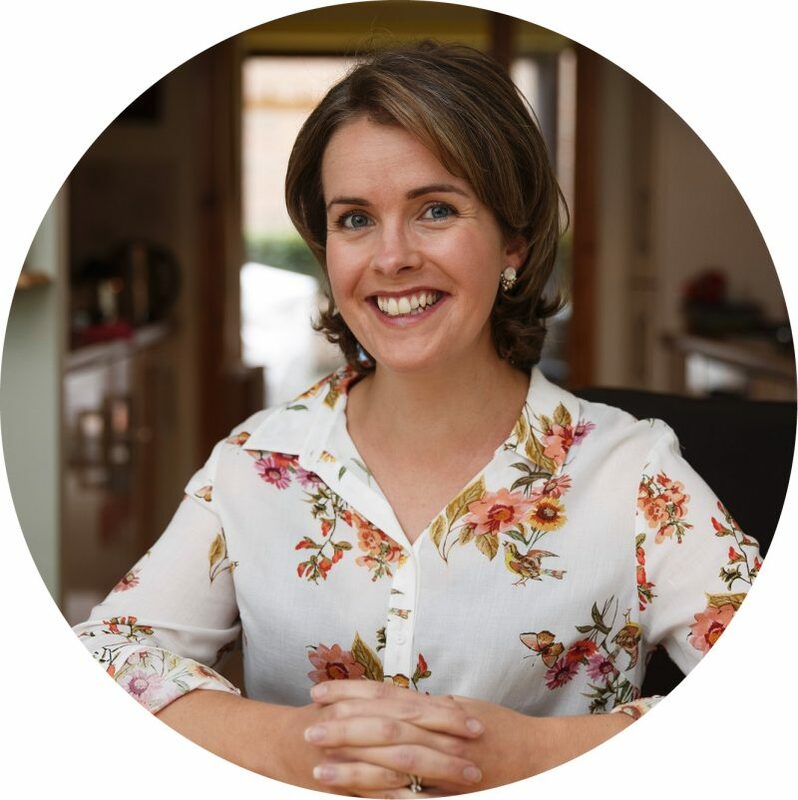 Up until the day of my diagnosis, I had been working full time, running a busy house and I was always on the go. I couldn’t get my head around the fact that at 9.30 life was normal and that at 11.30 I was calling my husband and family telling them I had breast cancer. A plan was put in place immediately. I would meet my oncologist and I would start AC chemo, every 3 weeks, 6 rounds. My hair would fall out, I would lose my lashes, eyebrows etc. I wasn’t bothered about my hair but my lashes and brows, that scared me. I decided to cut my hair before it fell out. I decided a wig was not for me so instead I wore some very fashionable chemo headwear. The first chemo was the hardest, I developed a very sore mouth and ended up in hospital the week after my first round, my wisdom teeth needed to be removed as the gum was swelling and causing me great discomfort. 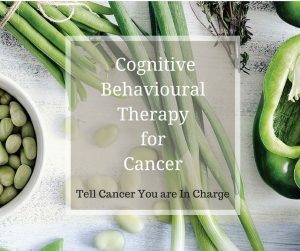 My second chemo was not as bad, I slept after it and took my prescribed medication as advised. I am also a firm believer that the more water you can drink before, during and after chemo is crucial to recovery. Before each chemo I would focus on being positive as my boys needed me and I needed to fight this thing as best I could. Right now I’m on a cancer management drug every day and thank God, the side effects aren’t bad – I get a little more tired than usual but that’s only a small thing. I try to remain positive for my kids, husband, my mum and my siblings, as I’m the youngest of 5 it’s difficult to see your older brothers and sisters crying and worrying for you. It changes you, it changes everything. Last thing at night when you close your eyes, you wonder what the next day will bring. You look at your kids and hope and pray that you get to see them grow up, you look at your family and feel sad that their lives are turned around as a result of this. On the up side, it has shown me how much fight I have within, if I don’t think I’m able to do it, I’m more determined than ever. The love and support shown to me and my family since my diagnosis in March is overwhelming. 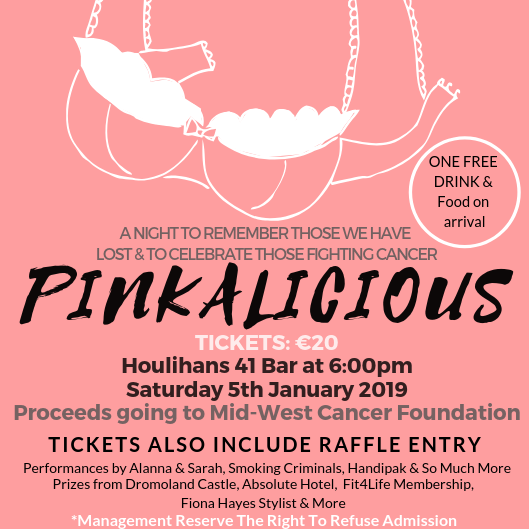 I organised a fundraiser for the Mid-Western Cancer Foundation and held an event called Pinkalicious in January 2019 for Little Women’s Christmas. The funds are still coming in and our figure is currently at €25,000 raised. We had an amazing night and had some incredible prizes for our raffle. So many people gave their time, money and support to a wonderful night. A few days after the event, I received a call informing me I was being awarded Limerick’s Person of the Month and up for nomination for Limerick’s Person of the Year at an awards ceremony in February. To say I was honoured is an understatement. It’s creating another memory for my kids and family to have forever and that’s all I want. A gift from my beautiful friends Mary and Pat – a silk pillowcase. It helps keep your scalp cool and reduces the appearance of wrinkles. Every girl needs one! My other product would have to be my La Roche Posay water mist – I keep it in the fridge and use it when the hormones kick in, to feel cool again. My advice, stay positive, and when your feeling good, enjoy it. And when your feeling tired, chill out. It’s scary – our minds run away with us, and usually in the middle of the night when everyone is asleep. I get up, have some tea and write, write my feelings, whether good or bad. This is our reality now, it’s not ideal but as a family we are determined to make memories and enjoy our time together for however long that may be. My motto is ‘Every Moment Matters’. Thank you so much to Meg for sharing her story with us. If you would like to support her fundraising for the Mid-Western Cancer Foundation, please visit her Facebook page, Pinkalicious by Megalicious. 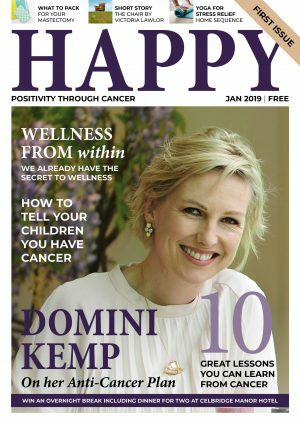 Would you like to write something for Happy Magazine? Meg, you are an inspiration to us all. My husband is currently recovering from very radical surgery to treat a highly aggressive prostate cancer which had taken over the bladder. We are in Belgium for the last two months. The surgery is not available in Ireland. I’m taking all the positive things you wrote and going to use them to deal with whatever comes. The love, care and friendships that we have experienced are amazing. Out of adversity comes precious gifts we never expected. Well done on the fundraising and changing what seems to be a very negative experience into something positive.